About a decade ago when you said television it would mean watching media on a traditional TV set. Today, TV content has spread across many platforms and has reached just about everything from treadmills to cell phones. For the past couple of years the technology savvy have been using TV Tuners to access off-air and cable channels on their computers. Things today have gotten easier than ever before. 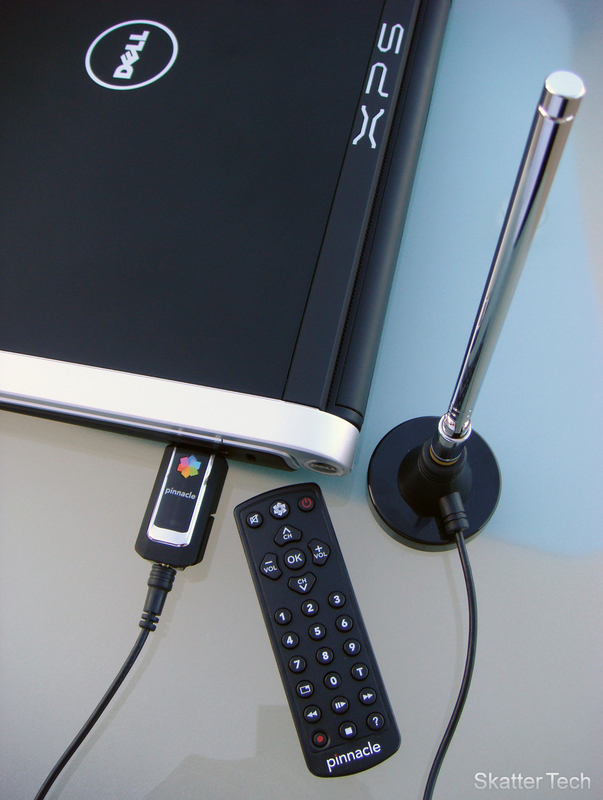 A simple USB Flash Drive sized gizmo plugged into an average computer provides instant access to High Definition Television content. I personally wasn’t a fan of the idea of having content that would normally be on a TV brought over to my laptop’s display. I’m also sure that this isn’t exactly an idea too many others either. But there are many scenarios that the Pinnacle PCTV HD is an excellent solution. For example take a college student who may not have enough space in their dorm for a TV unit or the cash to afford one. For a minimal price a student can turn a laptop which they most likely already have purchased into a multifunctional device that doubles as their TV. As a bonus, most computers running Windows Vista are bundled with Media Center which can instantly turn their machine into a DVR that can automatically schedule and record shows. When I opened the packaging the PCTV HD Mini came in, I was astounded by the size of the device. The USB device which is about the size of an average flash drive was supposedly capable of receiving Full HD content and playing it back on my laptop. The last generation of tuners were much larger and would even hog up any extra room around USB ports, Pinnacle thoughtfully also threw in a USB extension cable to prevent the tuner from rendering any other ports useless in case it were to be obtruding. The largest component of the package was the antenna and its base. Putting everything together was quite a cinch, with some intuition, you’ll have all the hardware setup in a few minutes even if you don’t have much familiarity with technology. A CD is included which is fairly straightforward, just pop it in and follow the onscreen instructions. The software will automatically scan for digital channels in the area. Positioning the antenna is quite important; placing it a location with minimal obstructions will result in better reception, more channels, and image clarity. Once it’s all set up, one would assume that you could pickup that tiny fun-sized remote and enjoy your TV, however that wasn’t the case. The TV Center Pro software provided by Pinnacle was more troublesome than not. The interface was poorly organized, the was a bit too messy, and was quite difficult to navigate. Although advertised to have numerous features, I gave up after spending about 30 minutes trying to get it to work. After speaking to a colleague regarding the nuisance they call software, he suggested using Windows Vista’s Media Center. Giving Windows Media Center a shot was the best decision I made. The interface was fancy, simple to configure, and easy to navigate. Within a few minutes I had finished scanning for TV channels, had unselected weak signals from my lineup, had downloaded the latest TV Guide for the next week, and best of all, I was able to watch TV! The quality of the content was choppy on certain channels, but channels with a strong signal broadcasting in HD were beyond amazing. I was truly impressed that my computer paired along with such a tiny device was able to playback High Definition content so well. Recording shows is literally a one-click solution with Media Center. I was able to schedule my favorite shows to record automatically when they air during their prime-time slot each week. I found that even if my computer was in Sleep Mode, it would automatically wake up and use the Pinnacle PCTV Mini Tuner to record my show. One slight downside I encountered were the massive file sizes for the recorded HD content. A 30 minute program would often take 5-10 GB of space on my hard drive. Some TV Tuners decode the HD content into different file formats that consume less space. Despite that small quirk, most people have fairly large hard drives these days so I doubt that will be an issue. Overall the Pinnacle PCTV HD Mini is an excellent tuner that works wonders. The quality is superb and is available for a decent price. It’s also incomparable to the price you would be paying for a HDTV if you already have a decently sized monitor and computer. The only fault in regards to the whole product would be the included software. I would suggest just installing the drivers and begin using Windows Media Center immediately. You’ll have a much more pleasurable experience and avoid any annoyances that way. Another suggestion would be to purchase a more powerful Digital HDTV capable antenna. Even a cheap one that will run you under $25 will provide a much better experience by letting your receive more channels with stronger signal strengths. Pinnacle also bundles a remote control, a pigtail converter for coaxial cables, an antenna, and a pouch for keeping it all together. 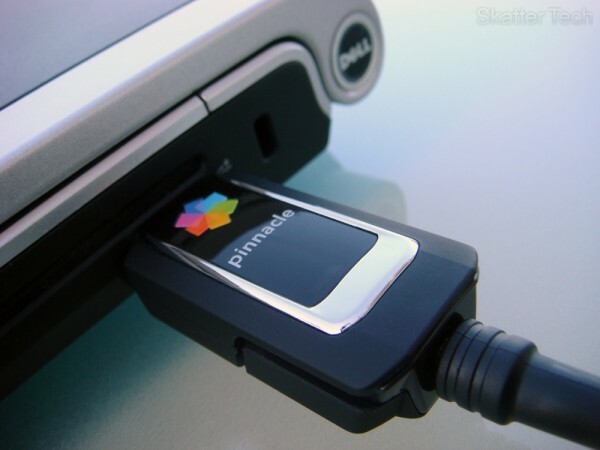 If you are in the market for a USB TV Tuner the Pinnacle PCTV HD Mini is definitely the way to go. Pinnacle has had a long history of producing brand name hardware and software products for multimedia production, editing, and playback. On a side note, Pinnacle sold its TV Tuner segment to Hauppauge towards the end of last year, a company well known for producing quality TV Tuners for consumers. @john if you can’t figure out whether it works or not, let us know. I can shoot Hauppauge an email and see what they officially have to say about it. great post!thank you for the info! I see that Pinnacle blocked the creation of drivers for Linux. Anyone know if this has changed since Hauppauge nows owns the business?